of debris from roadways each year. THIS IS THE FINAL WEEK TO NOMINATE A HOME, BUSINESS, CHURCH OR ORGANIZATION FOR THE SOAK IT UP AWARD! Water pollution from stormwater runoff is real. It is not fake news. We need to acknowledge the people in our community who are taking water pollution seriously and doing something about it. 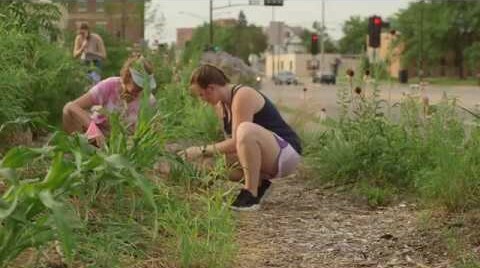 The La Crosse YMCA recently established an amazing food forest where native plants, trees and shrubs all develop extensive root systems. These root systems act like sponges, naturally soaking in runoff so it doesn’t flow onto West Avenue, Riverside Park, and the Mississippi River. 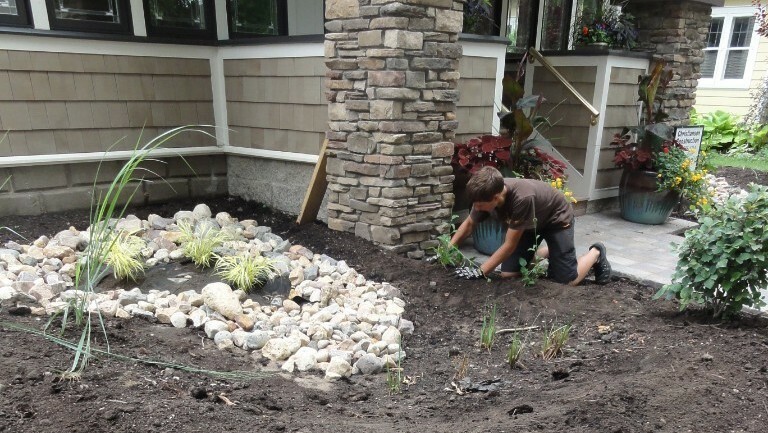 Completing a landscaping project at home to control runoff is not as hard as it seems. Local homeowners are taking on the challenge of turning their yards into beautiful, sustainable landscapes—installing rain barrels, directing water to rain gardens, using less pavement or replacing it with surfaces that capture and infiltrate water, and using native plants and trees to soak up stormwater naturally. 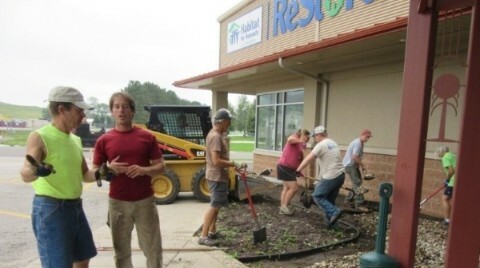 Water flow at Habitat For Humanity ReStore was reworked in 2016 with La Crosse Urban Stormwater Group. Thousands of hours went into making a living demonstration for managing stormwater runoff, complete with signs so you can learn on your own. Walk around the property to see pervious pavement, swales, berms, directional grading, rain gardens with native plants, and rain barrels. Well worth a visit! NOMINATE A SMALL BUSINESS TODAY! Volunteers are still needed to walk in the Torchlight and/or Maple Leaf parades. Bring your families and help us spread the word about becoming a more sustainable community. How is stormwater managed where I live? Questions about stormwater group programs? Contact Us Here.